Prize drawings, contintental breakfast, and lunch available! 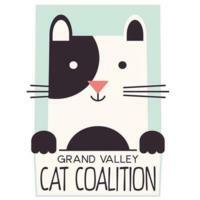 Join us for an afternoon of music and friends to benefit the Grand Valley Cat Coalition. $15 suggested donation, senior and family rates available. more...0 Light refreshments served after the concert. Live Music in the Brewery featuring J-Ravens and drink specials by Cockpit Craft Distillers, a Veteran owned and Colorado distillery. We will honor more...0 our Veterans by offering 10% of their tabs! 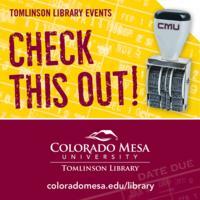 Join us in the Tomlinson Library Event Space as Professor Tom Acker and Spanish international student Anne Lapeira share about Spain. Refreshments more...0 will be served, and everyone is welcomed. Visit our website for parking information and more details. 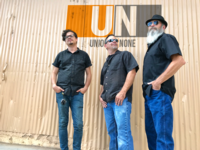 Hailing from the western slope of Colorado, Union of None plays all the songs you didn’t know you wanted to hear from the 80’s to the more...0 2000’s to audiences all over Colorado. Wide-ranging vocals and harmonies paired with searing guitar leads and a solid rhythm section have made Union of None one of the top bands in their home market. From nightclubs and bars to local events and regional festivals, Union of None is always a crowd-pleaser and leaves them wanting more. Tickets are $13 in advance, and $15 at the door. 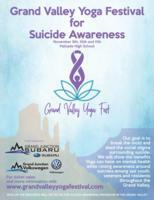 To purchase tickets, go online at kafmradio.org, or call 970.241.8801 to pay by phone during business hours.